One of potential advantages most commonly mentioned was the fact that shops no longer needed to store large quantities of products, which could instead be shipped directly from the manufacturer’s warehouse to the customer. That would both save time and money of all those involved in the chain and make a very positive contribution to environment protection. A more efficient organization would see fewer vehicles make fewer trips, thus cutting down on CO2 emission. Lower congestion and wear-and-tear to infrastructure would also be more than welcome. That was the plan, at least. Has It Gone According to the Plan? Not necessarily. Many vendors have noticed something that has been confirmed by studies such as this one. Customers are likely to use the time saved by shopping online to run other errands or pursue activities which involve driving. Thus, the amount of traffic can potentially double and have devastating effects on both the environment and infrastructure. Another problem lies in the increasing demand for fast deliveries promised by sellers in their struggle to attract or retain customers. Now that so many of them are offering same-day deliveries, those wishing to distinguish themselves are talking about hours instead of days. The implications on organizing the supply chain management are serious and potentially overwhelming. Almost all of them, but especially transport, warehousing and delivery, with the “last-mile” issue are creating more problems than ever. Being unable to organize full truckload transport in order to provide prompt delivery, sellers are not only jeopardizing their margin, but are also damaging the environment. Furthermore, they would need to have warehouses geographically distributed in a way which facilitates the fastest delivery time possible. Finally, there is the ever-present problem of “last-mile” logistics, i.e. organizing delivery from a port/freight hub to the customer’s home. Fleets of delivery vehicles whizzing around residential areas and city centers have become a regular sight, causing even more traffic congestion and damage to the infrastructure. In terms of social impact, virtual commerce might make some jobs redundant and as we witness the rise in the scope of e-commerce, we can also experience that the connections and the “spirit” of community is being lost as we stop buying at local stores. Whether online sellers somehow manage to instill the sense of community among their clients remains to be seen. What Is Done to Alleviate the Problem? Actually, quite a lot is being done to achieve sustainability of e-commerce in these circumstances. For example, enforcing transport laws which would straightforwardly limit the number of delivery companies allowed to enter bustling city centers is one of the options being considered. Experts agree that some degree of regulation is desirable, but also point out that regulation has to be accompanied closely by resource optimization. When it comes to warehousing, the concept of 3pl logistics is one of those aiming to facilitate the sustainability of companies involved in e-commerce. The idea is that some services necessary for successful supply chain management might be outsourced. By hiring specialized companies with their own warehousing facilities and delivery fleet, sellers might be able to turn the existing fixed costs of running their own warehouse and delivery vehicles into variable ones. Furthermore, they would not need to be concerned about the necessity to increase their warehousing capacity to respond to growing demand, since companies specialized in third party logistics manage facilities with enough storage capacity. In terms of the infamous “last-mile” issue, the use of drones is still waiting to be regulated, ground-based robots are being tested, with both legislation and infrastructure needing to be adjusted to deal with the problem. 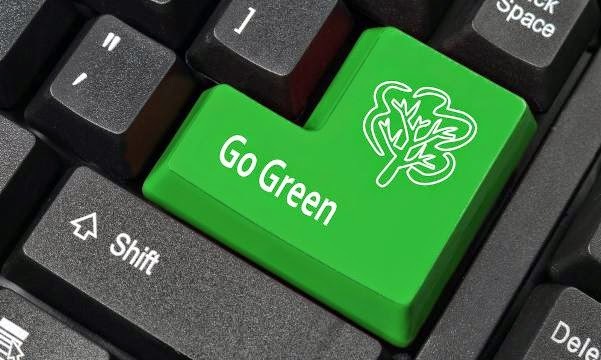 The fact remains that e-commerce has the potential to be much more environmentally friendly and sustainable. To begin with, people don’t need to travel to purchase items. Companies don’t need to produce and store products that aren’t so popular. That, in turn, means again less transport to and from warehouses and less damage to the environment. Outsourcing is also likely remain a powerful tool in the supply chain management, as a great majority of most successful online sellers have already realized. Streamlining production and distribution will always be crucial in achieving positive business results and, as demand and requirements become more specific and demanding, companies operating in this field of business need to use whatever is available to meet them.